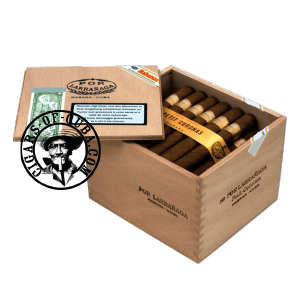 Rare and sought after by most Cuban cigars aficionados, the Petit Corona from Por Larranaga delivers a unique taste of gentle spiciness. Although the new production with rings has a different blend than the older productions, it remains an unforgettable smoke with a caramel aftertaste. Smooth and creamy. A pleasant smoke to enjoy.